To All The Strong Women In My Life And The Men Who Support Us! Now it's time for us all to PULL TOGETHER! We have the People! We have the Power! 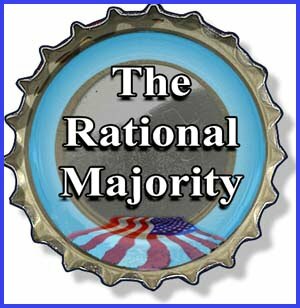 The Rational Majority© is an umbrella for various projects whose joint mission is to give voice to the millions of Americans who have “HAD ENOUGH”. Each project is geared to work in synergy with the others while working in support of all affiliated progressive groups, organizations, aligned individuals, and others. Your Role - How do you participate? Thank you from TRM team! Well, "Snap Tuit!" We'll Help! The Rational Majority wants you to open up your mind - not your wallet. We do not solicit nor do we accept financial donations. This website had been developed by Etter Ventures, LLC, using Google Sites. Google provides the website hosting services for free, saving you money.